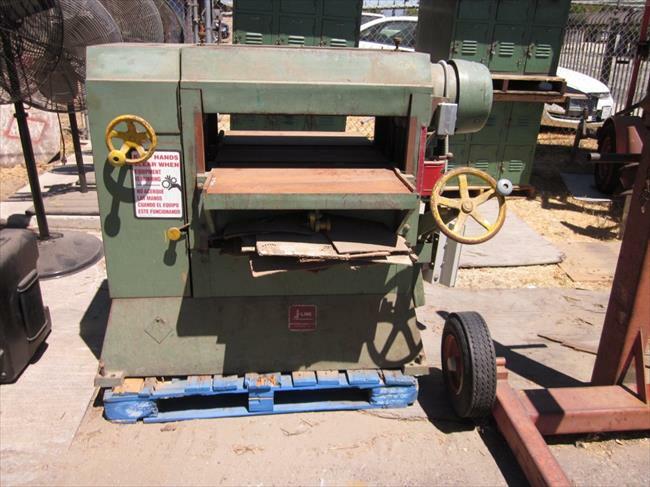 I spotted this #7 Planer at a School Auction. 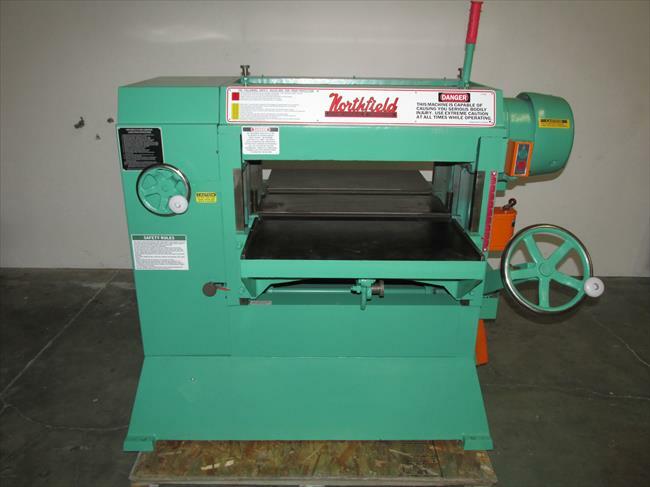 Northfield made Planers for Brodhead Garrett to market with the J-Line machines after taking over the J-Line from Yates American. It had a little J-Line tag on the base and nobody else seemed to know what is really was. Got it back to the shop and preformed a complete rebuild on the poor thing. Pulled everything apart, Polished all the rolls, rebuilt the chipbreaker section that was a mess and rewired the entire Planer. It got all new bearings,Dive chains,Belt. A new feed motor and the Reeves Drive was Rebuilt. Also got new knifes and Chipbreaker Springs. 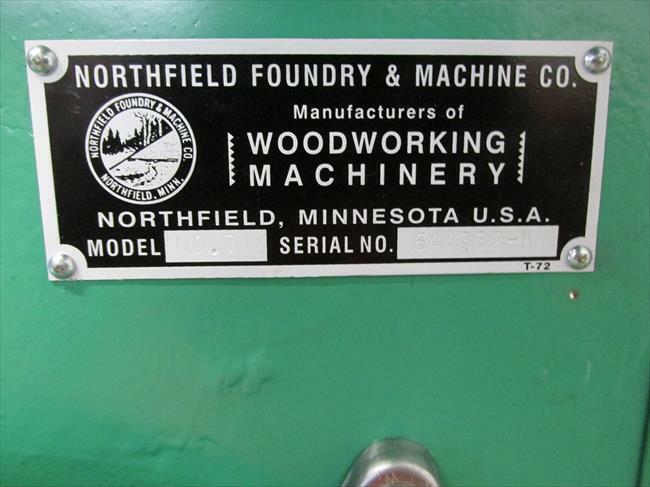 After obtaining a complete Manual and a new set of tags from Northfield it was reassembled and Painted OSHA Safety Green,a close match to the factory Vista green. Lastly everything was set to factory specifications. 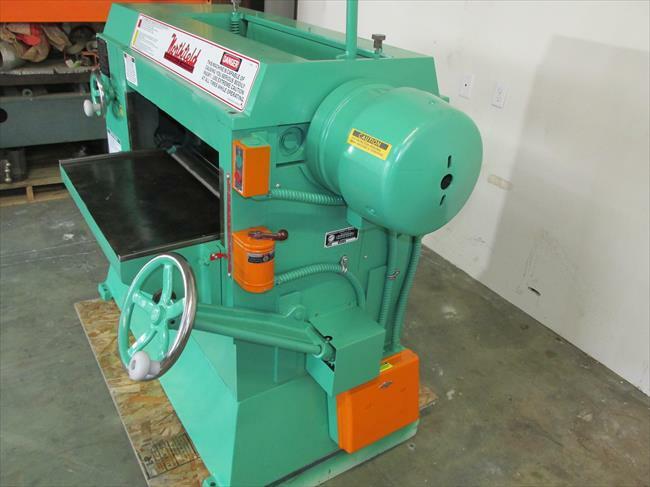 The Planer is now in use at a sawmill South of the Border.